With 294 Grand Prix races won in Road Racing World Championship, Aprilia holds the record for the most wins of any European manufacturer in the history of maximum motorcycle competition. In December 2004 Aprilia becomes part of the Piaggio Group which, with the reorganisation of the Noale Racing Division, takes the Veneto-based brand to victories in World Championship Motorcycle Racing and broadens the horizons of sport activity: from the return to the off road discipline, world rally to the debut – in 2009 – of the Aprilia RSV4 in World Superbike. 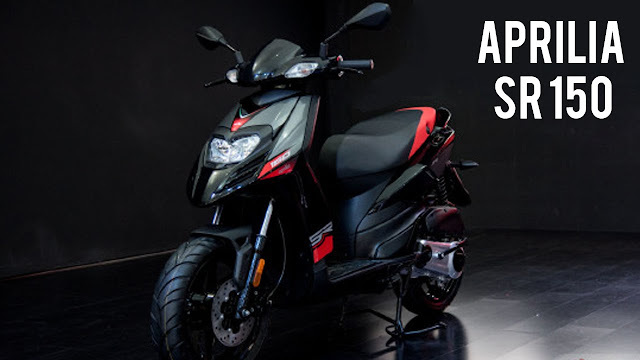 Now it has unleashed his scooter in Indian market , The one and only Aprilia SR 150 which was showcased to the audiences at the 2016 Auto Expo and is one of the best looking scooters out there. Sporty and sharp in design, the SR 150 is producing at the company's facility at Baramati, Maharashtra . We will see its tough competition with Honda PCX 150, Hero ZIR, Mahindra Gusto 125 and Vespa SLX and VLX in India. With an entirely new steel frame, more rigid for unmatched maneuverability, the SR 150 R has an aggressive and aerodynamic design inspired by that of the RSV1000 R Factory offering the best technology and safety available on a sports scooter. paired to a CVT unit. power and torque to match the best in class. The Aprilia SR 150 has a European design language which is edgy and contemporary. 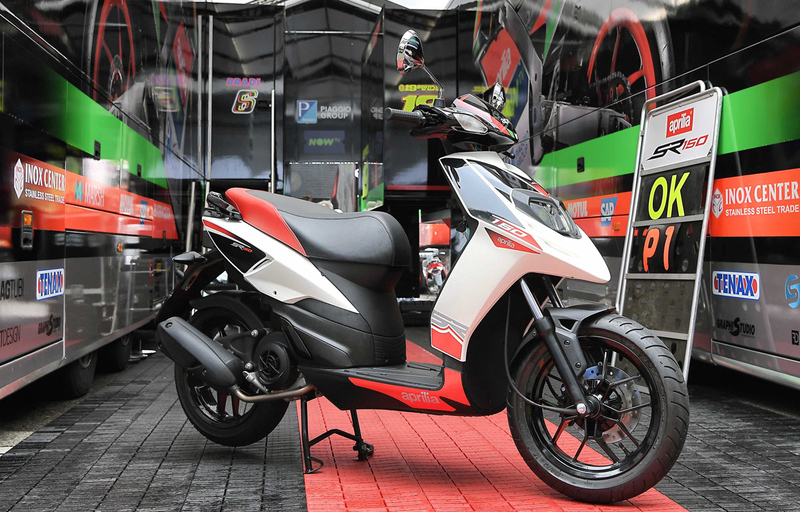 The sporty styling should make the SR 150 scooter a hit among the youngsters. The beaky front apron has the headlight embedded into it while the turn indicators have been placed on the handle bar. 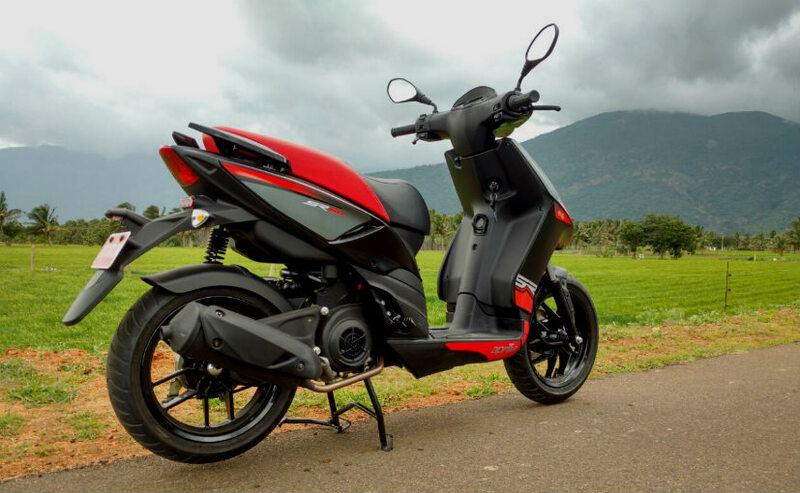 The beefy telescopic forks and the large 14-inch diameter wheels do give the scooter an aggressive stance which should help it standout from its rivals. The instrument console is a rather simple affair with a twin pod analogue unit for speedometer, fuel gauge and odometer along with various tell tale lights. The scooter employs telescopic front forks and monoshock unit at the back to handle suspension duties. The scooter runs on the 14- inch dia wheels that get wrapped around with 120/70 section tyres on both the wheels. The Aprilia SR 150 has a fuel tank capacity of 7 liters while seat height is 775mm. braking is done by 220mm disc brake at front and 140mm drum brake at the rear.